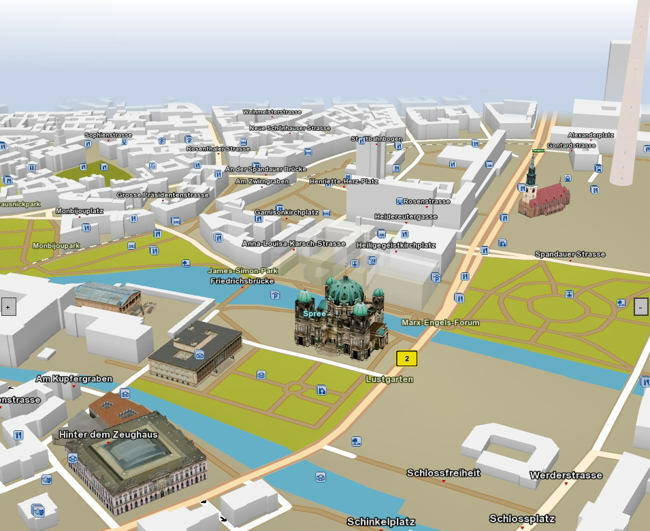 Drivers are attracted to the EB street director 3D map engine. Its display, which delivers more than 25 frames per second (fps), lets drivers quickly and easily orient to their surroundings. EB’s map display and 3D functionality deliver a premium experience for your customers. Maps display smoothly as they render, without jagged edges, shakes, or jiggles. With photorealistic landmarks and topographic models, drivers see what the actual surroundings look like, making it easier for them to orient themselves in the real world. Maps move and change quickly to reflect navigation. And you can highlight points of interest (POI) for drivers on the map. 3D City Models. Create accurate block and city models that highlight specific buildings from search results so drivers can orient quickly. 3D Landmarks. Bring the Eiffel Tower, Empire State Building, bridges, and the most famous buildings and landmarks to your navigation with photorealistic images. Satellite images. Stream images into the navigation display via a connected interface to display pictures taken by satellite. 3D DTM (Digital Terrain Model). Generate a topographic model of the bare earth to give drivers an alternative view into country landscapes. Raster map and hybrid map. Allow drivers to switch between raster map (satellite/aerial image) and hybrid map (raster map combined with road network). Globe view. Let drivers zoom from globe view into an overview map or detailed map. POI display possibilities. Enrich your map display by adding POI stacks for preferred brands, e.g., your partners. POI fuel types and 24-hour flags are possible, too. Partial map updates. Reassure drivers that their maps are current—and save time and money—by providing partial map updates via an SD card and a home PC. It’s fast and easy to make these Internet updates. 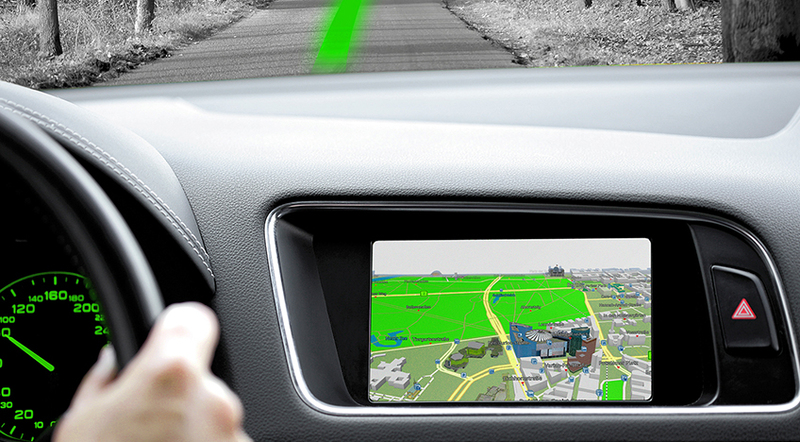 EB offers an electronic horizon that provides map data for advanced driver assistance systems. Create compelling navigation solutions that help your drivers to stay connected.